Everything Sweet, Delectable & Lovely! Perhaps you, too, have wondered about those visions of sugar plums. I imagined sugar plums as something sweet, luscious and beautiful. 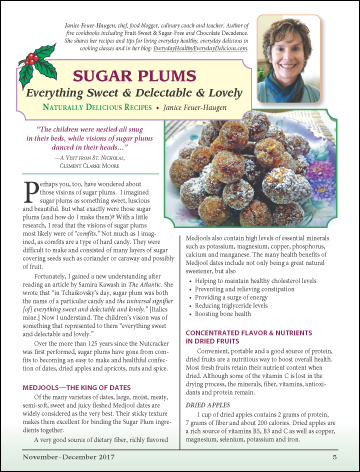 But what exactly were those sugar plums (and how do I make them)? With a little research, I read that the visions of sugar plums most likely were of “comfits.” Not much as I imagined, as comfits are a type of hard candy. They were difficult to make and consisted of many layers of sugar covering seeds such as coriander or caraway and possibly of fruit.